Myanga is one of the poorest and most populated areas in Kenya. 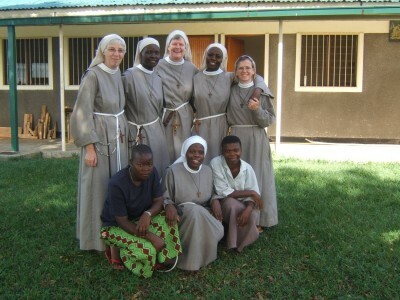 Here the Sisters help handicapped and improvised children get an education, provide medical help for families to combat maleria, TB and HIV/Aids, supply healthy food and vitamin supplements to the sick, arrange accommodation for the destitute and much, much more. St Patrick’s . . . . .a Pilgrim Church. In the Centenary Window Pilgrims of today commemorate those of the past and think of those yet to come. 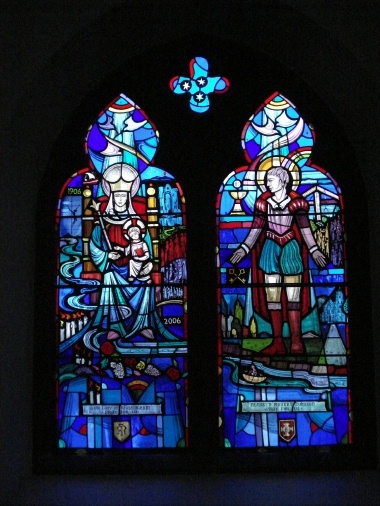 A permanent feature to embellish the church, as a one-off record by the present generation of Catholics in Wellington, in the form of a 2 panel stained glass window.The design features Our Lady of Walsingham in one panel with Blessed Robert Johnson (Shropshire’s English Martyr) in the other.